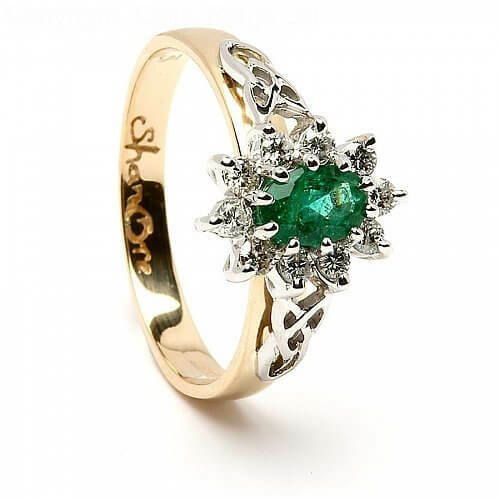 If you would like an engagement ring which looks truly Celtic, this beautiful ring, featuring a 0.50 carat emerald is the perfect choice. Surrounding the rich green oval emerald are ten sparkling diamonds and the shoulders of the ring are intricately formed from Trinity knots. Traditionally the Trinity knot represents the three Celtic goddesses but more recently, Christianity used it to represent the Father, the Son and the Holy Ghost. Your ring will carry the hallmark of the Dublin Assay Office, your proof of quality. 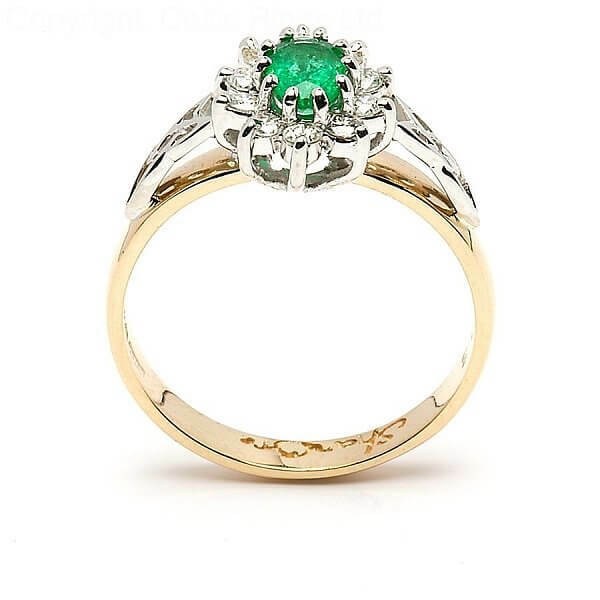 All diamonds sold by Celtic Rings Ltd are conflict-free. Service rating : They were very helpful. 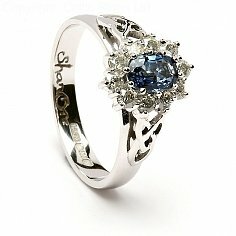 They contacted me right away to make sure the ring size was correct and checked on me again when it was delivered. Product : This is a very high quality ring.